We are in the heart of summer and people want their pudding pops. Well, some have tried the new pudding pops, some have not figured out that they are BACK! 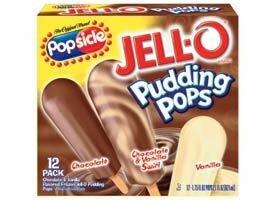 Here is a recipe to make your own Jell-O Pudding Pops. We ARE back folks! Even though winter is upon us we still want our Pudding Pops back. Check out our updated site for new information about the re-launch of our Bring Back Jell-O Pudding Pops campaign!! !